Abby LOVES getting kisses. She collects her goodnight kisses in a special bucket that she carries with her everywhere. Abby loves to receive kisses, but she doesn’t like to share. Her collection of kisses are too special, precious and fragile to give away. Abby’s bucket of kisses is ready to overflow and she is about to discover what happens when kisses aren’t shared. Abby discovers that her kisses lose their special glow when she keeps them to herself. It isn’t until she shares them with the other children by accident that she realises that kisses need to be given away to truly be special. 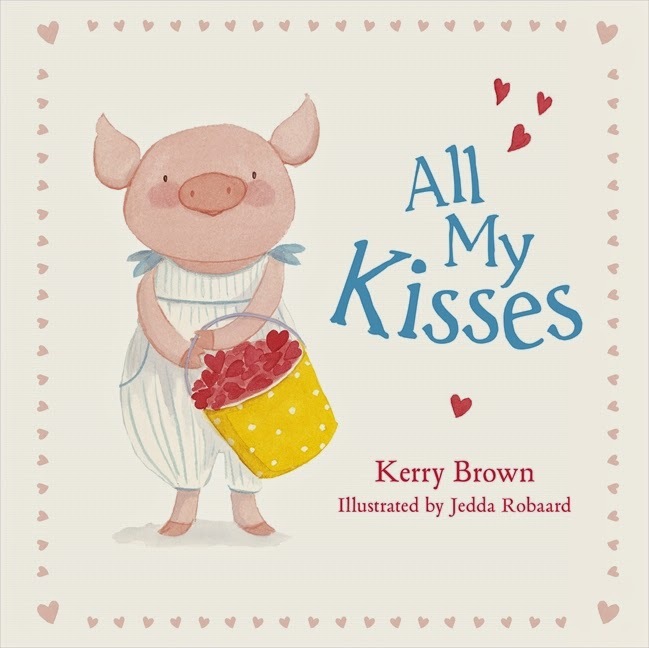 This sweet story by Kerry Brown, delicately illustrated by Jedda Robaard, is sure to lead to warm hugs and goodnight kisses with toddlers and preschoolers at bedtime. I love Abby’s cute little bucket of kisses, and the way the discarded kisses begin to glow when they are shared with the other children.